The Greggs bakery is the biggest chain of bakeries in the United Kingdom, and one of the biggest fast food chains in this country. In fact, there are more Greggs locations than there are McDonalds, which is saying something. It is based in the northern city of Newcastle Upon Tyne and is a northern institution, but there are locations across the country. Greggs is not well known in the United States. But this brand is a favorite of millions of fast-food lovers in the United Kingdom (and, rather strangely, Hollywood actress Milla Jovovich). There are over 1600 locations in the United Kingdom and it is known to each and every citizen. So, while it has yet to cross the Atlantic, those stores and that expansion makes this chain bigger than US favorites like Del Taco, Krispy Kreme and Jamba Juice. John Gregg founded the first Greggs bakery in 1951. He had operated a bakery on Tyneside since 1939, and was well prepared. However, the operation was fairly small in those early years and the expansion didn’t begin until the 1960s. Unfortunately for John, he died in 1964, but fortunately for his brand, his brother and son took over and expanded the brand straight away. They opened more stores and also began to acquire other chains and stores, targeting popular locations in many different regions. By the late 70’s they had expanded into many other northern cities and towns. In 1994, they acquired their biggest brand yet when they bought the 424+ Bakers Oven locations for close to £20 million. It was already popular by this point, but this acquisition took the brand to new heights and helped them to grow to more than 1,500 locations within two decades. At Greggs, all food is served fresh, and in one way or another, it stems from one of their regional bakeries. There are nine of these around the country, each serving a number of stores. These are the heart of the operation. It’s where new recipes are created, and new ideas are trialled. They don’t keep food heated all day like many fast food chains do. So, when they bake something fresh, they put it on display to cool and to purchase. As a result, you may find that your order is cool by the time it gets to you, but it is still fresh. In fact, in many cases the food sells out quickly and new batches are created, which means you should always get something that is hot at best and warm at worst. They serve pasties, sandwiches, toasted sandwiches and more. It is all hot and it’s all fresh. At the end of the day they donate most of the uneaten food to local charities, before cooking from scratch again the next day. You can grab a cold or hot drink to eat with your sandwich or pasty, and there are also some sweet treats available. Greggs aren’t as noted for their donuts as Dunkin’ Donuts and Tim Hortons, but these are cheap and delicious foods nonetheless. If you’d prefer, there are also eclairs, cookies, gingerbread biscuits and more. The secret menu fad took root in the United States and this is where it is at its strongest. It’s something that is starting to cross the ocean, as is evidenced by the Nando’s secret menu, but it has yet to influence Greggs. As a result, the Gregg’ secret menu isn’t up to much and is certainly not able to compete with fellow “snack” menus like the Tim Hortons secret menu. Still, that may change and we will be the first to find out if it does. In the meantime, checkout our Greggs secret menu page to see what’s available right now. This is cheap, hot, fresh and delicious food. But it also packs a lot of calories. Greggs menu prices are incredibly cheap. You can get a good meal even with just a few quid in your pocket. They also have meal deals, where you can grab a sandwich, a drink and a treat at a bargain price. Many customers prefer to eat on the go, grabbing some food in one of the Greggs bags and snacking as they work or take a break. You can also eat in, but you should be prepared to pay a little more if you do. That’s because a VAT is charged on this food, which then goes straight to the taxman. Greggs have debated this and have worked hard to get rid of it, but as of yet, they haven’t had any luck. You may also pay more in certain Gregg’s cafes, as they provide extra services. So, keep these extras in mind as you read our Greggs Menu Prices page. These are the official and basic prices, to which you may need to add a little extra for VAT or services, depending on where you eat and whether you eat in or out. Greggs have been serving coffee in-store since their “Greggs Moments” cafes were closed down. This is indulgent food for the most part. They sell pasties, donuts and more, and this is not very healthy. Pasties are loaded with butter and fat, and the same often applies to their fillings. Still, there are healthier options available. You can choose a sandwich with a light filling, a pasta with a fresh sauce or a soup. There are also salads, and Greggs are adding more and more of these healthy options all of the time. They also sell bottled water, tea and coffee. This wasn’t always the case, but after a brief flirtation with a chain of coffee shops in the 2010s, they began selling a selection of coffees and other hot drinks in store. The key thing to remember about Greggs is that this is not a traditional fast food restaurant. Most people come here to grab a snack, a light lunch or a breakfast on the go. As a result, the servings are often small and for the most part, the meals are under 500 calories. To calculate the exact calories of your order, check our Greggs Nutrition Infoguide. You can also get your favorite Greggs pasties in Iceland. 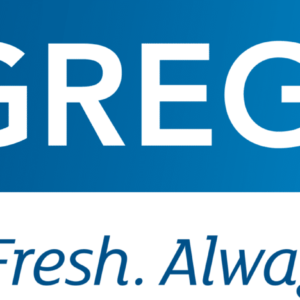 Like White Castle, Macaroni Grill and other fast food chains in the United States, Greggs sells some of their products as frozen meals. These can be found in the Iceland supermarket, which is known for selling cheap frozen food. These meals include Sausage Rolls, Sausage & Bean Melts, Chicken Bakes and the traditional Cheese & Onion Pasties. If you’re looking for Greggs food in your own home, then these are ideal. They are also very cheap and you can usually get half a dozen frozen pasties for the price of a single fresh one. And considering the fresh variety are also very cheap, that’s saying something. Most Greggs locations have a sit-in area, but you will pay more if you choose to do this. Greggs is a very northern brand. This is something that is reflected in its advertising, and something that much of its customer-base are proud about. In fact, it often gets a mention from northern comedians, actors and entertainers. However, while it began in the north and still flourishes there, there are now locations across the country. In fact, the only places in the British Isles that do not have locations are in Ireland, the far norths of Scotland and, rather strangely, in Devon and Cornwall. The cities with the most locations include their home city of Newcastle, the North-western city of Manchester and the Scottish city of Glasgow.